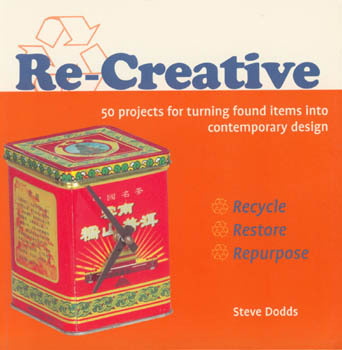 In 2006 I collaborated with Elwin Street again to produce Re-Creative. Similar to the work I'd done for Readymade, the projects are the material equivalent of a song's "club remix" They take the found, discarded and cast-off, add to them and throw them into a new contect for your enjoyment. In addition to the projects themselves, the book includes an introduction that discusses design, potential material resources and tips for safe and ethical scrounging. Click the cover for more info.